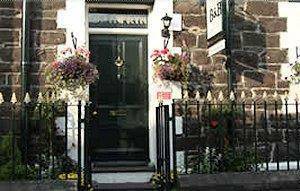 Conwy Bed and Breakfast ( B&B ) Guest House accommodation within the historical town walls of Conwy, within a couple of minutes walk from Conwy Castle. Gwynfryn Bed and Breakfast is a large 19th century Victorian Conwy House which has been lovingly renovated into a Visit Wales 4 Star Boutique B&B Guest House offering beautifully decorated comfortable B&B accommodation Our B&B guest house is ideally situated within the heart of the historical walled town of Conwy town just off Lancaster Square. Close to all amenities, attractions (including Conwy Castle) and both the Conwy Train Station & the local bus route for Conwy North Wales. Conwy is the perfect base for visiting all of North Wales including Snowdonia, Anglesey, Caernarfon, Llandudno, Deganwy and Betws-y-Coed but to name a few. Most famous for the magnificent Conwy Castle built by Edward I between 1283 - 1287 and also designated a World Heritage Site, Conwy can truly lay claim to being one of the finest remaining medieval walled towns. With a wealth of attractions that span the ages, events galore and a wide range of shops and restaurants all within a short walk. Also Conwy highly acclaimed Albion Ale House having just been awarded the 'Best Pub in Wales 2013' is within a minutes walk serving a great selection of local real ales. Gwynfryn (the name of which loosely translated means white hill) was built in Conwy in 1873 as a residence for superintendent preacher for the Conwy Wesleyan Methodists Tabernacl Chapel, which is situated to the rear of the B&B. We moved to Conwy in December 2003 and purchased Gwynfryn as a run down residential accommodation before transforming it into a B&B Guest House over the following two years becoming a fully operational Bed & Breakfast ( B&B ) in August 2005. 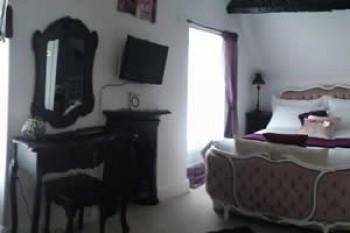 Our bed and breakfast ( B&B ) accommodation consists of five rooms which have been tastefully furnished in their own unique style. 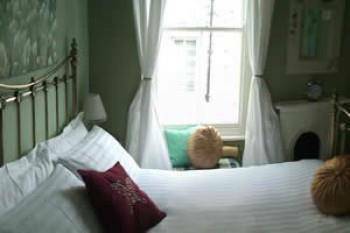 All of which have en-suite facilities except for one room which has its own separate private bathroom. 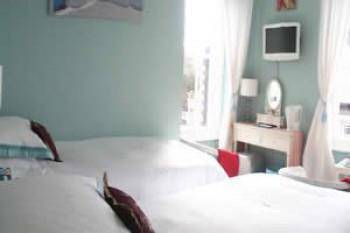 All rooms include flat screen LCD TV with integrated DVD player, complementary beverage tray, mini fridge, electric fan, hairdryers, complementary toiletries and benefit from free wireless broadband (wi-fi enabled). We also have a computer for guest use with free internet access.